Windows Server 2016 is expected to be released first quarter 2016. Windows Server 2012 R2 released in October 2014. Windows Server 2012 had a general availability release back in September 2012. Windows Server 2008 R2 has a tentative End of Life (EOL) set for 2020. Currently, Windows 2008 R2 makes up the majority of the server workloads in use today. Many organizations have barely started working with 2012, if at all. Most organizations are still operating Active Directory at the 2008 level. Some are still on Windows Server 2003, even though it has already hit EOL. The past repeats itself because we have again hit a point where the most utilized version of a Windows software is going to be two or more generations behind the latest release. Server 2012 adaptation increased when R2 was released and particularly when Server 2003 hit EOL and companies needed to migrate off that platform. Timing and other factors went into the slow adaptation of Server 2012. However, Server 2012 suffered from the same issue Windows 8 did – the interface. Server 2012 is a solid product, but the interface turns off so many IT professionals who have to live in it day-to-day. The interface is based on the Metro Interface used in Windows 8. The Metro Interface was designed with touch screens and tablets in mind. How many IT professionals have touch screens available or use tablets when connecting to their Windows servers? Yes, you can put a start menu in 2012 with a third-party product. But how many of us are against the cluttering of our servers with unnecessary software installations? At this point in the year, if you have not budgeted for an upgrade/migration project for this year, then you can put it in the budget for next year. Server 2016 has an interface that is based on Windows 10’s interface. Yes, it has a start menu. Going to server 2012 R2 in the near future will immediately put you one version behind. Along with Server 2016, Exchange, SQL, and SharePoint 2016 will be released as well. The preview builds have had favorable reviews. If you migrate now, how long before you will need to migrate again. Keep in mind that even though the release is expected first quarter, it is not a good thing to have your production environment on the bleeding edge. I usually advise my clients that adapting a new version of a software should be held off for a few months after the release at the least. The major issues will most likely be found and resolved within the first few months. I usually advocate waiting until the equivalent of the first service pack comes out. If you are still on a 2003 environment, you are waiting too long and sitting on vulnerabilities that will no longer be remediated. Application compatibility. We are looking at a new operating system. You know there are going to be applications that are not compatible with it. Even if a piece of software proves compatible, you may still need to wait until the vendor says it supports the installation. Knowledge and the ability to support the features. This is a new Operating System. You can relate what you know about previous versions of Windows Server, but there will definitely be new subject matter to learn. Features like containers will need some research and knowledge. If you are not comfortable with PowerShell, you better get comfortable. In short, if you are not on server 2012 at the moment, are off of Server 2003, and you can wait about eight months, then consider waiting for Server 2016 to do your migration. The nice thing I have seen so far, is that you can treat 2016 like another version of Windows Server with improvements for what you know and use now. However, it is the new features and concepts that will make it worth the wait. I will be posting a blog or two (or three) concerning the release of Windows 2016 in the next few months. I usually write blogs like this one for a wide range of readers involved in IT from the technical to the not-as-technical. The future blogs on Windows 2016 will be more technical. Feel free to post any questions or comments below or reach me directly by email. In previous posts, we’ve described the necessity to upgrade your Windows XP PCs to either Windows 7 or Windows 8. Today, we are going to discuss the server side of the house. 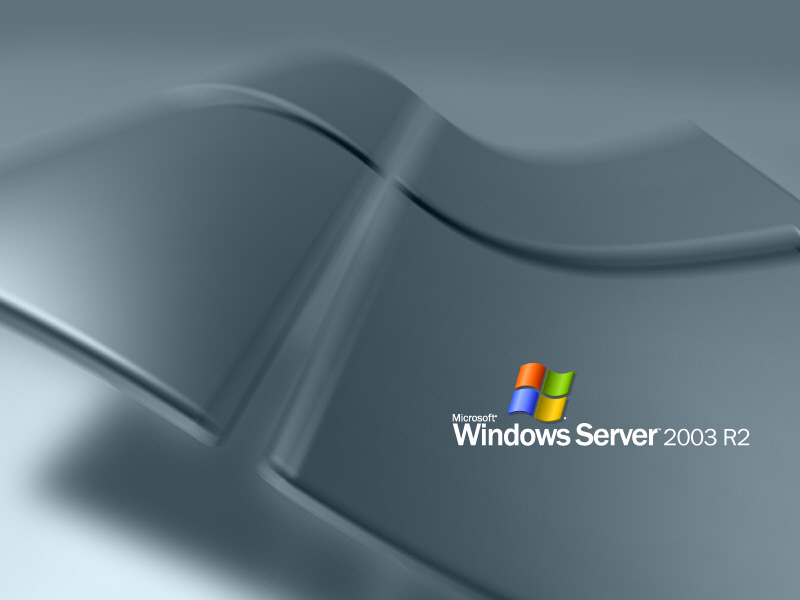 Microsoft will stop supporting Server 2003 R2 on July 14, 2015. I know a year can sound far away and over the horizon, but it isn’t – especially when it comes to servers. A migration from one server to another can either take a few days or several weeks – depending on your infrastructure. For example, migrating a file server from 2003 to 2008 is fairly straight forward – especially with the help of Backup/Restore software like Backup Exec. Backup Exec remembers things like file permissions, so we can backup your data from your old server, and then restore it to the new server. If you have shared printers on your network, this part of the migration can be a bit more involved. Not every printer manufacturer will support installing their printers in a 2008 64-bit environment – but we would investigate this for you before we begin the migration. If your printers are not supported on a 2008 server, it may be time to upgrade those as well. Support for Exchange 2003 server ended back in January 2008. Exchange 2007 ‘mainstream support’ ended April 2012, with extended support ending April 2017. If you are still using Exchange 2003 or 2007, you should move to a new server immediately. Custom Systems has done several migrations from 2003 to 2007, and up to Exchange 2010, so we have a clear path to follow. We have also migrated a few clients from an on-site Exchange Server to Office 365 hosted email, depending on client need. If you are using your servers to host applications, like Quickbooks or other third-party vendors, a migration from your old server to a new server gets more complicated. We may need to get the software vendor involved in the process. Make sure you have access to the latest version of your Applications before trying to move to a new server. In some cases, we may even need to migrate to a new software product if the older product is no longer supported. As always, and we would be happy to provide you with a free Network Assessment. Call or click today!